In Today's world It is really important that a Company or Business have their website. With a website a user can get information about the company and their services everywhere he goes only with a domain. To Set up your Business Website online, A Web Hosting is Important so that your website can show up on the Internet. A Server dedicated to your Business provides Freedom of use, You get total control over it without any interference from the provider or Hosting website. You can manage your server yourself or if you don't have any technical knowledge You can also go for a managed server. With Managed server you get the same freedom as with any other server, You can still customize the server as per your needs. In Managed server the service provider is the one you manages and mantain's the server as per your needs. In Un-managed server hosting the user is one who manages and maintains the server. For a Company The Managed server hosting will be best as you'll don't have to waste your time on managing and updating your server. With a dedicated server you can always make sure that your critical data and documents are safe and secure and you don't have to worry about it. 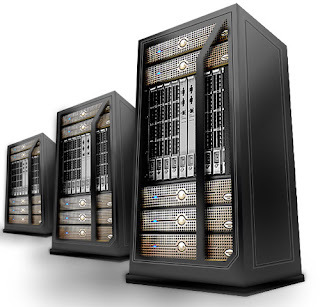 Larger Bandwidth: Dedicated servers have larger bandwidth as compared to the shared servers. Servers with Larger Bandwidth are capable of handling high traffic without affecting website loading speed. This makes dedicated servers ideal for business websites generating high traffic. Security: Dedicated servers are more secure than shared servers as you are the only one using the server. Using Dedicated servers provides security against cyber attacks and viruses. Manage Several Websites: With Dedicated servers you can host and manage several websites at once. This can be sub-domains or other domains. This makes managing easier. Speed: Since the Dedicated servers are used by only one company or user and are not shared by any other, The website loading speeds are high as compared to shared servers. There are many other benefits of using dedicated servers for Business or e-commerce websites. I hope you guys liked this article, Please let me know with your comments.